The TAPF board of directors is pleased to recognize the following individuals for excellence in teaching, patient care and research. The visiting professor awards are given to junior and senior faculty who have demonstrated excellence in scholarly activities as a faculty of a U.S. medical school. All of the visiting professor award recipients have agreed to attend the annual TAPF symposium in November 2008 to deliver lectures to medical school in Thailand. They will visit medical schools in Chiang Mai and Bangkok, Thailand to foster increased collaboration between the United States and Thailand in medical training and research. The visiting professors were selected by nomination and approved by the TAPF board of directors. This years group of visiting professors have a very strong track record of research funding and publications. They have a diverse background of research interests. Dr. Khaodhiar is an Assistant Professor of Medicine at Boston University School of Medicine. She graduated from Siriraj hospital, Mahidol University, Bangkok, Thailand, did her internal medicine residency at the University of Hawaii, Honolulu, HI. She then did her Endocrinology fellowship at University of Massachusetts Medical Center, Worcester, MA and Nutrition Fellowship at the Beth Israel Deaconess Medical Center, Harvard Medical School, Boston, MA. Her clinical interests include obesity and inpatient diabetes care. Her research interest has been in the area of obesity and type 2 diabetes, with an emphasis on vascular abnormalities related to these conditions. Currently she has been involved in a number of multicenter, randomized controlled studies investigating the role of new medications for the treatment of obesity and insulin resistance. Dr. Phipatanakul is an Assistant Professor of Pediatrics at Harvard Medical School. She received her M.D. degree from Loma Linda University and her M.S. degree from Harvard University. She finished her Pediatric residency at the Children’s Hospital of Los Angeles and her fellowship in allergy and immunology at Johns Hopkins. She has developed a research focus on the role of indoor allergens in the development of allergic rhinitis and asthma and morbidity due to respiratory allergic diseases. She has published nearly 40 articles, related to this field. She preliminary work lead to a K23 grant from the NIH entitled “Role of Mouse Allergen in Childhood Asthma”, which has resulted in several important publications. As part of her K award, she also earned a Masters of Science Degree in Clinical Epidemiology at the Harvard School of Public Health. She has recently received a highly competitive score for her NIH R01 award and will receive funding to support her research activities until 2013. 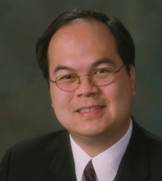 Dr. Pisit Pitukcheewanont aka Dr. Duke is an Associate Professor of Clinical Pediatrics and Clinical Director of the Pediatric Bone Program at Childrens Hospital Los Angeles, Keck School of Medicine of the University of Southern California. He earned his MD degree at Chiang Mai University. He completed his residencies in pediatrics at Chiang Mai and at Le Bonheur Children’s Medical Center of the University of Tennessee in Memphis. Dr. Duke’s clinical and research interests have been in pediatric endocrinology especially as it relates to growth and bone health and bone development. He has several recent publications on the disparities resulting from the various methods of measuring bone density and pediatric bone disorders. Dr. Duke is board certified in pediatrics and pediatric endocrinology. He is a member of the Lawson Wilkins Pediatric Endocrine Society and the American Society for Bone and Mineral Research. He is a frequently requested speaker to professional and lay audiences on pediatric endocrinology and bone health. Dr. Duke has been voted as “ Best Doctors of America” since 2003. This year he also has been listed as “ America’s Top Pediatricians” and “ Los Angles Super Doctors”. In addition to his professional achievement, Dr. Duke is a very talented individual. He can sing and have produced 2 single album CD. He has also chosen to donate his time and many talents to worthy causes. Dr. Tantisira is an Assistant Professor of Medicine at the Channing Laboratory, Brigham and Women’s Hospital and Harvard Medical School. He obtained his M.D. from the University of Pittsburgh and trained in Internal Medicine/Pediatrics at the LAC/USC Medical Center. He completed fellowship training in Pediatric Pulmonology and Adult Pulmonary and Critical Care medicine via the Massachusetts General Hospital. As part of that training, he did a post-doctoral fellowship at the Channing Laboratory, simultaneously earning an M.P.H. from the Harvard School of Public Health. His research efforts focus on asthma epidemiology and genetics, with an emphasis on asthma pharmacogenetics. He leads several NIH-funded investigations evaluating the genetic predictors of response to ?-agonist and corticosteroid medications in asthma. Dr. Lopansri is an Assistant Professor of Medicine at Loyola University Chicago and the Hines Veteran’s Affairs Hospital in the Division of Infectious Diseases. He received his Bachelor’s Degree of Science from the University of Illinois, Champaign/Urbana and his MD degree from Loyola University Stritch School of Medicine. He completed a 3-year Internal Medicine Residency at Loyola University Medical Center and a 3-year Infectious Diseases Fellowship at the University of Utah. He is currently involved in NIH sponsored projects investigating the pathophysiology of Cerebral Malaria in African children. Dr. Lopansri will be traveling to Thailand with the 2008 TAPF professors as a visiting professor. Dr. Tangpricha is an Assistant Professor of Medicine at Emory University School of Medicine in the Division of Endocrinology, Diabetes & Lipids. Dr. Tangpricha received his M.D. from Tufts University and Ph.D. in Molecular Medicine from Boston University. He has several publications on the topics of vitamin D and osteoporosis. He was recently awarded a Mentored Physician Scientist Award (K23) to study the role of T-roles in postmenopausal osteoporosis by the National Institutes of Health (NIH). He has also received research support from private and pharmaceutical companies to study vitamin D on the cardiovascular system. Dr. Tangpricha will be co-chairing the awards program this year with Dr. Lopansri.